For those who work with electronics, precious metals, instrumentation, circuitry, clothing, furniture, leather goods, apparel and more consider moisture the root of all destruction as it's a gateway to mold, mildew and rust. 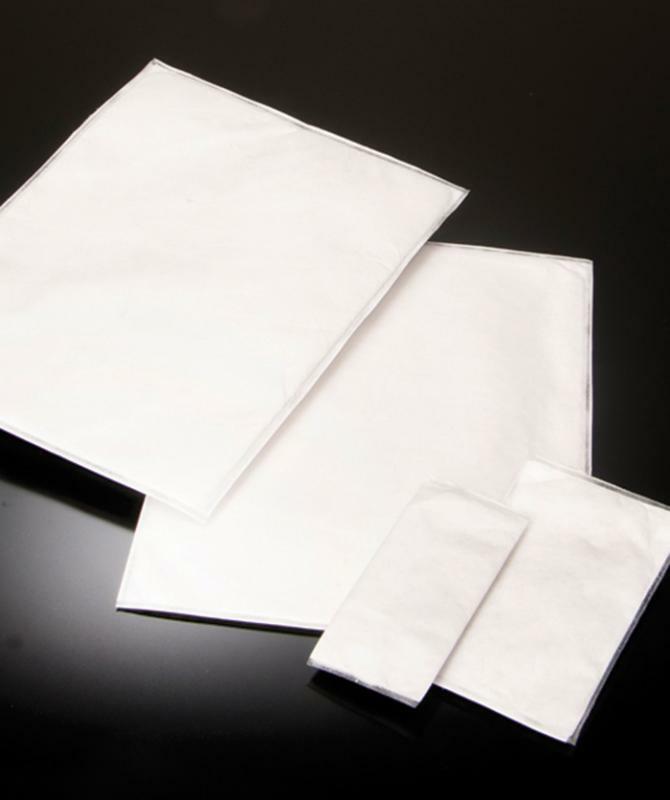 To offset moisture related damages and prolong product quality, many factories incorporate moisture absorber packets into their secondary packaging to protect delicate surfaces and products against corrosion, but there are circumstances where drop-in pillow sachets are inappropriate and the need for a thin, pliable moisture absorber is preferred. Designed to provide moisture protection and space economy to packaged goods, Drikette® desiccant sheets can be cut to match any shape, it conforms to any packaging and may be placed inside product packaging without the bulkiness of desiccant bags or sachets. This thin absorbing sheet are used to provide precise protection, flexible coverage and are preferred when space is limited or complex. They're are commonly placed or adhered into newly packaged products with electrical parts or plugs, exposed metal parts/surfaces and on furniture, leather and clothing items. If you are searching for powerful and superior moisture control in a semi-rigid composition for intricate product or packaging applications, then look no further! Drikette® Desiccant Paper is ideal to use when standard bulky drop-in moisture absorber packets won’t permit and eliminates potential safety hazards such as spills and mess caused when traditional silica gel or clay packs rupture spilling its' contents. Made by MultiSorb®, Drikette® is a clean, flexible, high-capacity adsorbing paper sheet infused with silica gel and features millions of adsorbent particles contained in a semi-rigid cellulose fiber matrix that facilitates quick drying and extraordinary versatility in packaging design. Drikette® sheets are effective within a wide temperature range and serve as an insulator or fixture and provides a uniform environment for complete humidity control. 02-00699AG02: Kit contains 5 each die cut units per foil pouch, 15 foil pouches per carton. Drikette® desiccant paper is ready-to-use and shipped in sealed foil barrier pouches. These speciality moisture absorbing sheets can be die-cut or custom-cut into a practically limitless number of sizes, shapes and contoured to fit difficult places to meet your precise design requirements . Contacts us with your requirements.